Year: 2015. Client: El Khedeiwy, Kuwait. 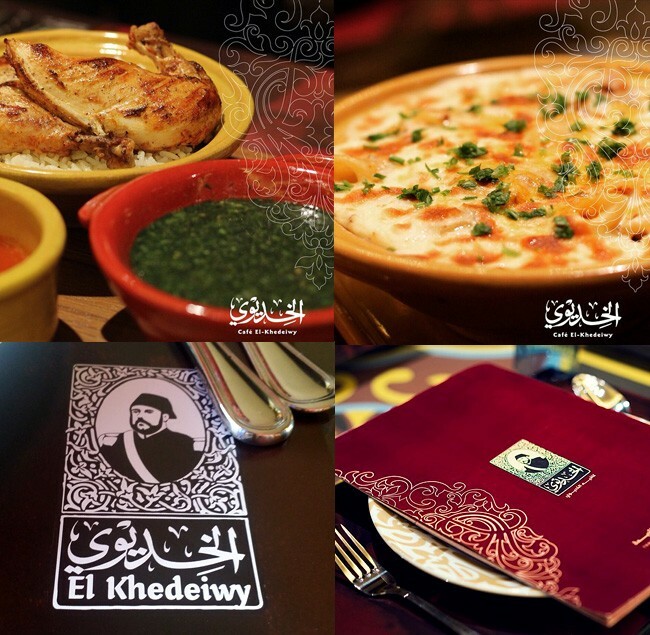 El-Khedeiwy Cafe and Restaurant was a new concept introduced in Kuwait in 2015: an Egyptian restaurant concept bringing traditional Egyptian food to Kuwait city and serving it in a relevant atmosphere. Tarek Atrissi design was commissioned to develop the full branding and visual identity for El Khedeiwy restaurant’s first location in Kuwait and developing the complete guidelines of the identity so that the brand’s image is carried consistently across all new future locations of the Cafe. The scope of the work included naming, logo design, designing the full visual identity, packaging design, print element design, art-direction/ consultancy as well as interior graphics and location signage design. 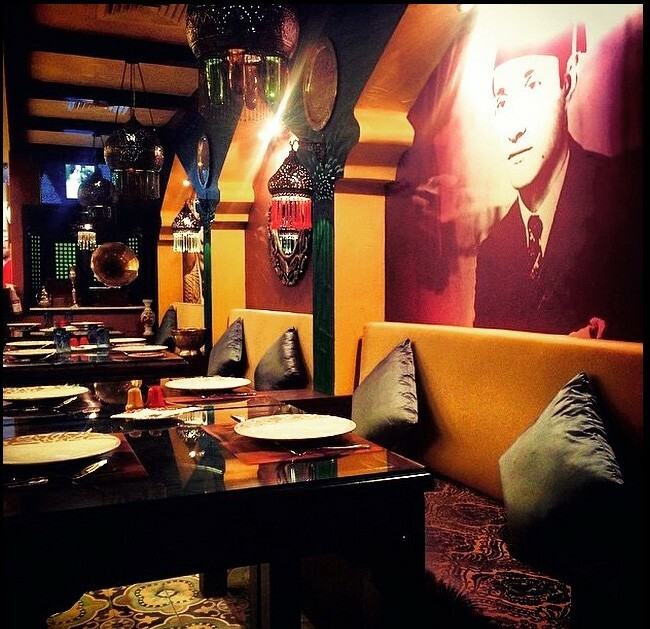 El Khedeiwy concept celebrates the concept of old Egypt and brings it into the main theme of the restaurant. The name El Khedeiwy refers to the title given to the ruler of Egypt in the past. 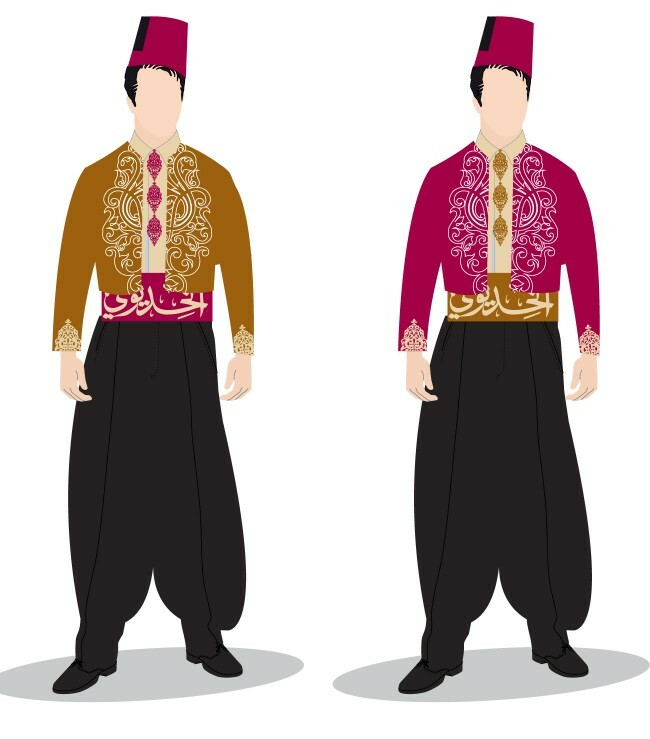 The concept was inspired by the personal parties that took place in the ruler’s palaces; The special events that welcomed the personal guests of El Khedeiwy himself and served them the best royal food and hospitality. The logo design of the restaurant was inspired by historical graphic material from Egypt that depicted an illustration of El Khedeiwy himself and was framed with an oriental pattern. An appropriate calligraphic style was placed under the logo, fitting the historic era being projected. The logo design was a mix of illustration, graphic elements, and typography and came in multiple versions: Arabic only and bi-lingual. 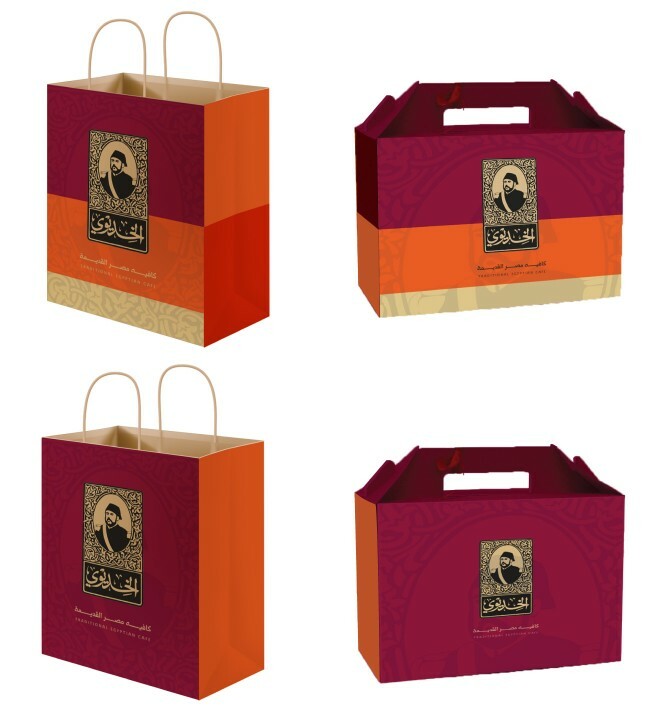 As part of the visual identity development, various packaging design templates were developed as well as wrapping paper and all print items that followed a unique graphic look and feel. The costumes were designed in line with the graphic identity and were inspired by traditional Egyptian fashion but adjusted to fit the graphic identity and to be presented in a more contemporary styling. Various graphic materials were produced for the interior to link the interior design to the graphic visual identity. 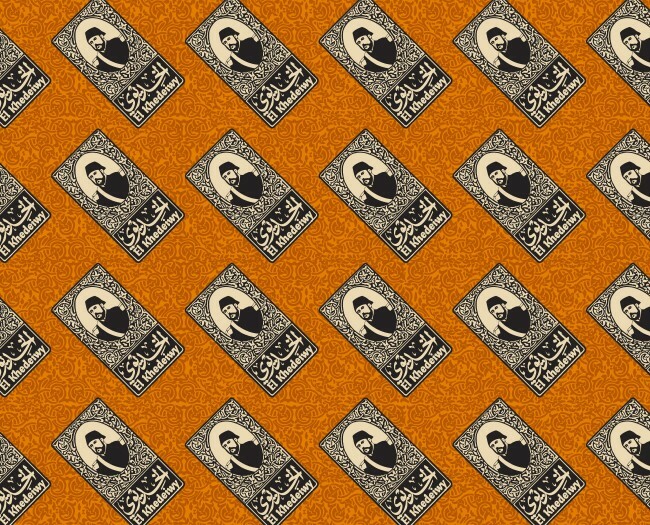 Most of the interior graphics consisted out of illustrations of old Egyptian movie posters or well-known Egyptian artists that played a significant role in the entertainment industry of Cairo. The art-direction support included looking at very small details in the restaurants and table setups that ensured that the graphic look and feel of the identity was coherent and that it reflected the general concept of the restaurant in all aspects of the client’s visiting experience.